to Ralf Metzler, David Mukamel and Stefano Ruffo. The SigmaPhi Prize was instituted by the SigmaPhi Conference to honor outstanding achievements in Statistical Physics. The Award ceremony takes place every three years during the opening session of the Conference and each laureate receives a diploma. Previous winners of the SigmaPhi Prize are: Giorgio Parisi, Itamar Procaccia and Eugene Stanley. Short biography: Ralf Metzler studied physics at Ulm University and had postdocs at Tel Aviv University and MIT. He has held faculty positions at the Nordic Institute for Theoretical Physics, Copenhagen, University of Ottawa, Technical University of Munich, Tampere University of Technology, and University of Potsdam. He has been developing the fractional Fokker-Planck equation framework, the concept of time averaging of stochastic processes and their ageing and non-ergodic behaviour. Moreover, Ralf has been involved in the study of diffusion-based molecular egulation and first passage processes, as well as simulations of soft matter dynamics with crowding. Short biography: David Mukamel studied physics at The Weizmann Institute and was a postdocal fellow at Brookhaven National Lab and Cornell University. He has been holding a faculty position at The Weizmann Institute since 1977. In his studies he combined statistical physics together with group theoretical methods to study collective behavior of many-body systems in and out of thermal equilibrium. His studies on long-range order and long-range correlations contributed to the understanding of these phenomena in diverse classes of physical systems including magnets, liquid crystals, DNA melting, driven systems and others. 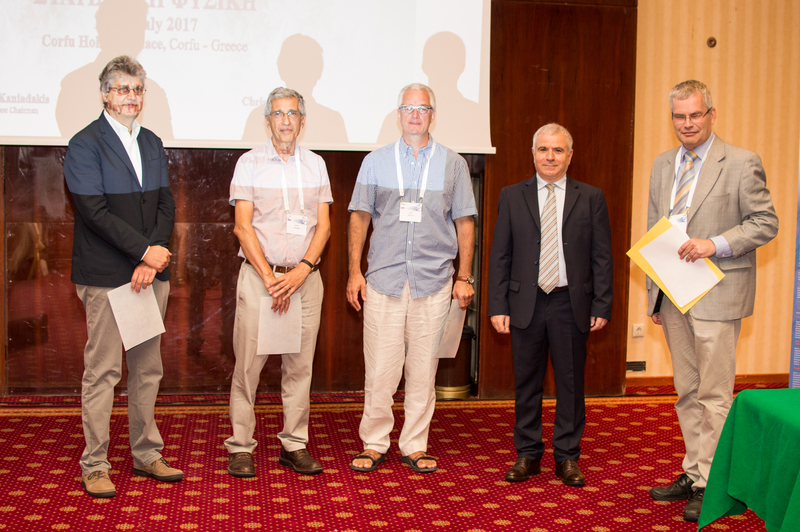 Stefano Ruffo: for his outstanding contributions to the statistical and dynamical behaviour of systems of nonlinear coupled oscillators and with long-range interactions. Short biography: Stefano Ruffo is the Director of the International School for Advances Studies (SISSA) in Trieste. He has been the Chairman of the Statistical Physics Commission of IUPAP in 2012-2014. He is a member of the Scientific Advisory Board of the E. Schroedinger Institute (2016-18) and of the Board of the Statistical and Nonlinear Physics Division of the EPS (2016-18). Among his scientific achievements one can mention the numerical evidence of the transition to equipartition in the Fermi-Pasta-Ulam (FPU) model, the demonstration of the thermodynamic limit of the Lyapunov spectrum, the introduction of the concept of chaotic breather, the discussion of quasi-stationary states in the Hamiltonian Mean Field Model (HMF) and of ensemble inequivalence in systems with long-range interactions.